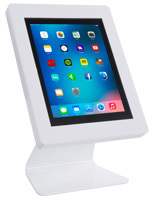 These locking tabletop iPad stands are very popular for public settings, such as a retail sales floor because of their safekeeping features. 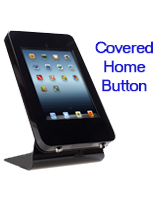 Each mount hides the home button to prevent users from navigating to other apps. 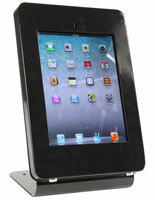 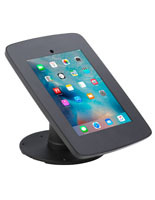 The tabletop iPad stands have additional qualities in addition to the safekeeping features. 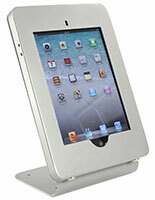 This iPad stand is equipped with two locks on the enclosure for safely keep the tablets inside. 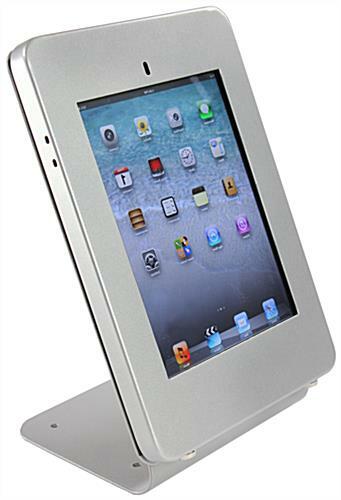 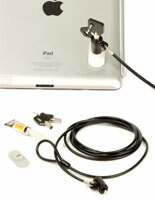 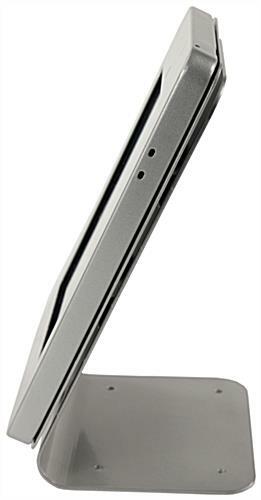 The iPad stands' durable combination of steel support and aluminum case ensure potential thieves cannot simply break the case open. 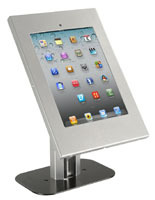 Businesses can use the tablet fixtures for displaying interactive menus, digital catalogs and easy to use surveys.